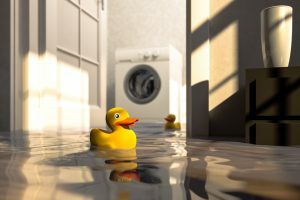 Categories Of Water Damage | Sincerely Yours Inc.
Water damage is a problem that most property owners dread. Water can cause thousands of dollars worth of damage because it will ruin furniture, electronics, household appliances, upholstery, and other items in the house. Water will also result in the growth of mold. Always hire knowledgeable water damage specialists like the team at Sincerely Yours Inc. in Columbia, South Carolina to clean-up and sanitize your home because you never know what kind of issues you will be dealing with. It’s very important to be able to determine what category the water in your home is. Category 1 is clean water, and this water is not a threat to humans. An overflowing sink or tub, burst water pipes, failed supply lines to appliances, drinking fountains, or vertical falling rainwater are the cause for this. Category 2 is called grey water. The water in this category could make you feel ill or uncomfortable if ingested. The cause of this is from washing machines, dishwashers, or urine-tainted toilet overflows. The worst type of water is under Category 3. This level is considered to be black water – this is because it is unsanitary and contains bacteria and even viruses that can cause major sickness. The cause of this comes from sewage problems, stagnant liquids, feces-tainted toilet overflows, and flooded rivers. Professional water damage restoration crews are trained on how to handle all the types of water damage. They understand that time is valuable and these situations are in desperate need of a quick response time, as well as urgent remediation. Remember, absolutely do not clean up any of the water. It’s best to just let the experts clean up any water because they have the protective gear to keep them safe from harm. Once the professionals arrive at your home, they will start cleaning wall cavities and other surfaces aggressively. If they are called to the home quick enough, they could be able to save flooring and drywall. The areas that were involved with the water will be washed with a detergent and salvageable materials will be thoroughly disinfected. If it contains at least 25 to 50 percent of moisture, saving the flooring and drywall may not be possible. Also during the drying process, the technicians will also test for various microbes and begin to destroy any found using powerful antimicrobials and fungicides. The professionals at Sincerely Yours Inc. in Columbia, South Carolina will make sure that your home is safe for you and your family to be in again! It’s not just things inside of the home, like plumbing leaks, washing machines, or burst pipes, but you need to also check on things outside of the home as well. Check on things outside of the home, as in, making sure your gutters aren’t clogged, the downspouts are extending past the house by at least six feet, and all French drains, ditches, and culverts need to be monitored as well. Turn off your sprinklers and irrigations systems in the winter time to prevent any frozen pipes. You can experience water damage from Nature as well. Heavy rain storms and flooding are things you also need to watch out for.